Satisfyingly crisp and refreshing, subtle woody notes interweave with hints of botanical juiciness. In the finish, a gentle splash of juniper's pine and citrus character rounds out the taste. Forest Flore is the second Origins Brewing collaboration brew, a beautifully delicate botanical saison created in friendship with Ben and Shashana, founders of food research hub and restaurant, Edinburgh Food Studio. 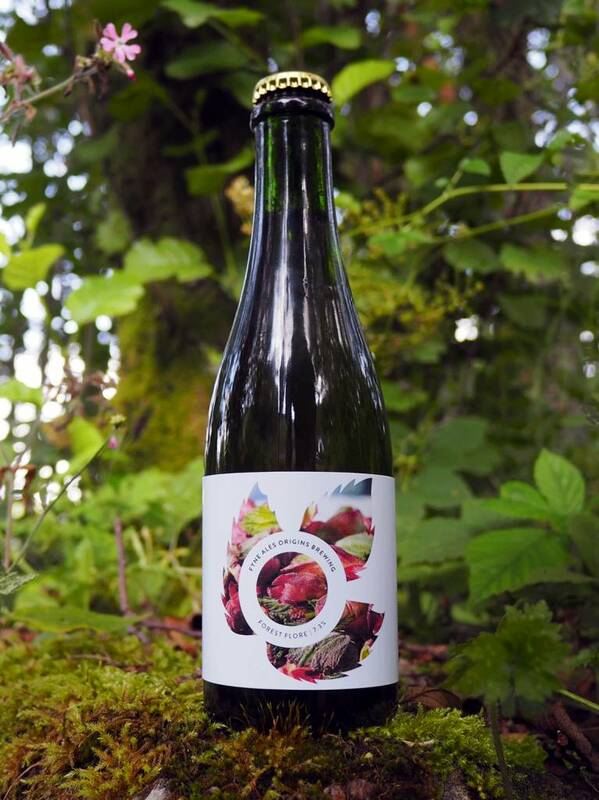 The collaboration was designed to produce a simple, yet flavourful beer that could pair with Edinburgh Food Studio's experimental dishes, and showcase a sesnse of the Scottish summer using foraged ingredients. Scottish malt and raw wheat were mashed with our Achadunan hill-water infused with the branches of flowering currant plants, in tribute to the old Nordic technique of filtering and flavouring ales. The buds from the plant were also added at the end of the boil and the beer was fermented clean with one of our favourite saison yeast strains before finishing on juniper berries.